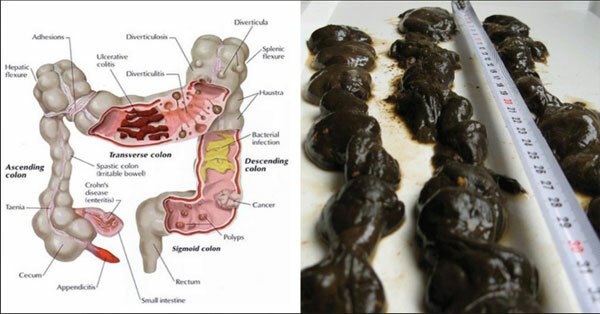 Colon is an important organ because it handles the task of eliminating waste materials in the body. Fortunately, cleansing it doesn’t have to be expensive because you can use a natural solution that’s easily available from your kitchen. Other than colon detox, this solution can even help relieve constipation. All you have to do is take a day-off, and create a comfortable environment that fits the requirements of the colon cleanse. Your body is going to experience slight changes, and you will go through an internal cleansing process. You, however, will need to get a one-day break to get the full benefit of this natural remedy. This will require you to do several things but, of course, staying healthy should be a priority and is always a worthwhile investment. To get started, you should prepare the colon cleaning juice by using ½ cup 100% pure organic apple juice, 2 tablespoons of fresh lemon juice, 1 teaspoon of ginger juice, ½ teaspoon of sea salt, and ½ cup of warm filtered water. Get a highball glass and a spoon. Pour the warm water in the glass and then put the sea salt which will eliminate your bodily wastes and improve your digestion. Stir it. Afterwards, add in the juices. The nutrients found in apples can be great in having a healthier colon. On top of that, ginger helps minimize bloating and helps stimulate the colon in pushing out your body’s toxins. Lemon juice, on the other hand, enhances your digestion and detoxification. With the combination of these three, you can expect great results. You should drink the juice on an empty stomach in the morning and also again before having your lunch and dinner. When eating your lunch, have a light one and then be sure to drink plenty of water (at least 6 to 8 glasses) within the day. Those interested to try out this detox process, however, are warned about several things. Pregnant women, sick persons, and individuals with allergy should first consult with their physicians to find out if they are allowed to do this colon cleanse treatment. Also, those suffering from diabetes should be cautious since apple juice is rich with natural sugars. Experts also say that this colon cleansing should only be done once a week and never more than that.